Sieve white flour and baking powder, thrice. Finely. In a bowl, cream butter and sugar till smooth and creamy. Add honey and cinnamon powder, mix well. Cover cooker with a plate and heat at full blast. Keep it on. Use butter to grease your baking pan. Be sure to spread out the butter thoroughly. Use sieve to sprinkle white flour over the butter. Hold pan upside down and tap to ensure extra white flour falls off. Pour batter into the greased and floured pan. Place inside the heated cooker and bake for 20 minutes on medium heat. 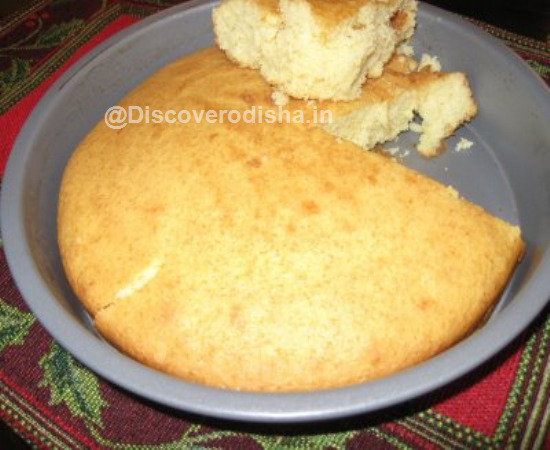 It’s a good idea to open lid after 20 minutes and check if the cake is rising well. Remove from the cooker and cool for 15 minutes. Now your honey cake is ready. Cut it and serve It with Honey. White flour: 2 cup Baking Powder: 1/2 tsp Honey:2-3 tsp Cinnamon powder: 1/2tsp Sugar:1 cup Butter: 1/2cup.